1. Keeps your chin up. 2. Gives Chin and neck balancing. 3. 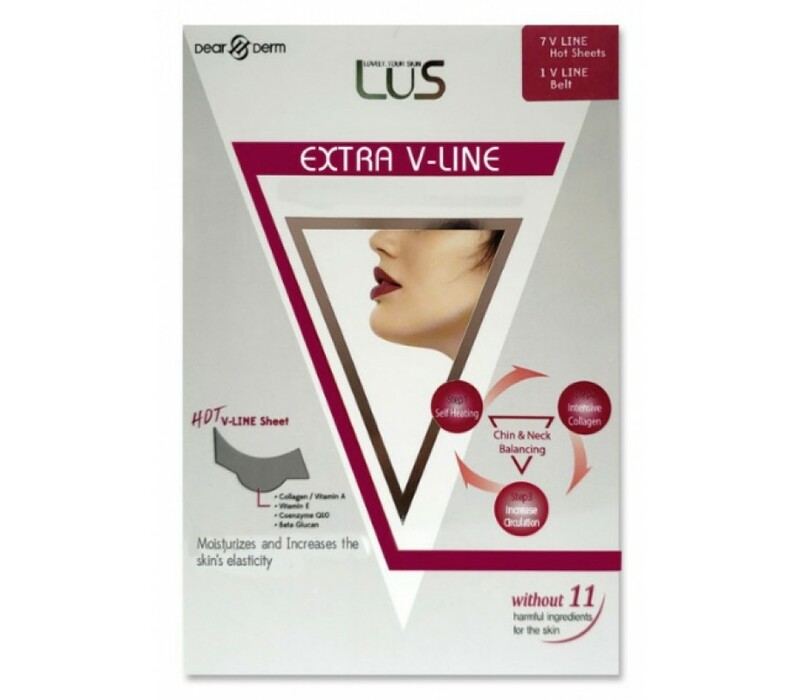 Visibly reduces the thick chin and reshapes the facial contours. Apply 3-4 times a week. *Approved for wrinkle improved product by KFDA. 2. Take out and unfold the V-Line sheet and place the V-line mask sheet on your chin. 3. Place the neoprene around your face to secure the mask and activate sauna effect. You will be also feeling strain on your jaw and cheek. Avoid using on blemishes, pimples, irritated or sunburn skin. Stop using and ask your doctor if your face turns too red, swollen or itchy during or after. Keep out of eye. If eye contacts, rinse thoroughly with water. Avoid using on skin which is sensitive to bandage or tape. Avoid storing under direct sunlight or high temperature. Tighten the band little by little every time. DO NOT over-tighten the band within a short period of time.